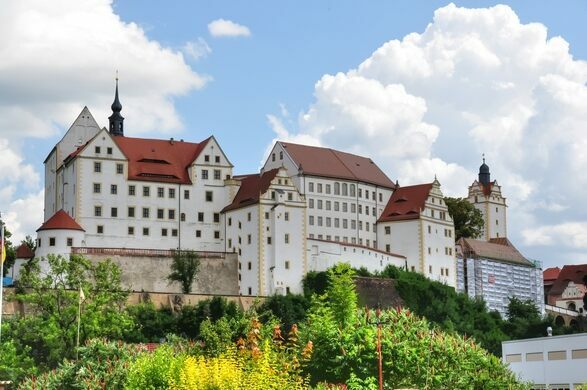 Perching over the small and unassuming town of Colditz in Saxony is a Rennasiance-style castle with a colorful yet somber history. 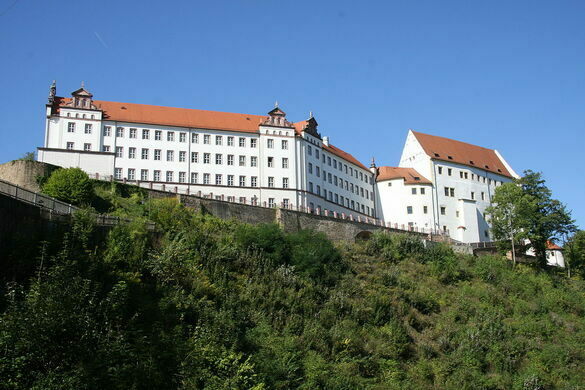 Built in the Middle Ages by the German King Henry IV and home to the electors of the Holy Roman Emperor, the castle gained international notoriety during its time as a formidable POW camp during the Second World War. 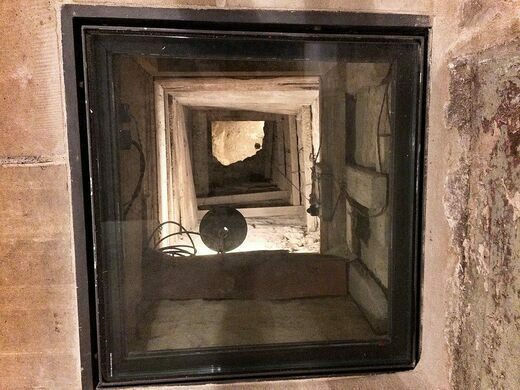 Sitting on top of a sheer 255-foot cliff with the Mulde River below, and located deep in the heart of Nazi territory, some 400 miles to the border, Colditz Castle (Schloss Colditz) was a high-security prison that the Germans considered escape-proof. Known as Oflag IV-C, it primarily held high-profile Allied officers and those who had repeatedly escaped from other less-secure camps. It essentially became a prison full of escape artists. 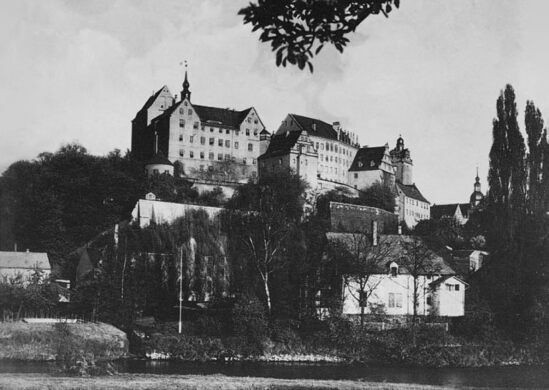 The impenetrable castle’s 7-foot-thick walls and steep cliffs did not deter the prisoners at Colditz, who devised intricate escape techniques and came up with ingenious and sophisticated strategies. 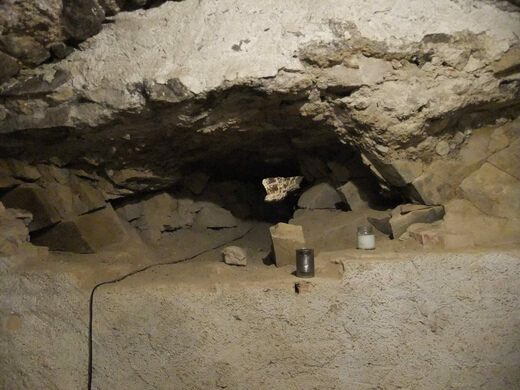 Unfortunately for the Germans, 300 escape attempts were made from this inescapable fortress during the war—over 30 of which were successful. The high-security measures in place failed to take into consideration the pure audacity and cunning of the imprisoned officers. 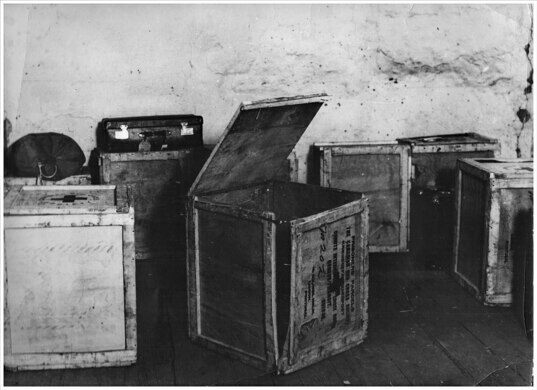 From tunneling, cross-dressing, or constructing a glider, the craftiness of the prisoners meant the guards had to remain constantly on their toes. Following liberation by American forces in 1945, the memoirs of escaped prisoners inspired dozens of films, TV productions, video games, and even board games. In particular, the memoir of British Army officer Pat Reid provided the inspiration for the film The Colditz Story. Other productions include The Birdmen, Escape from Colditz, and the 2005 TV show Colditz. 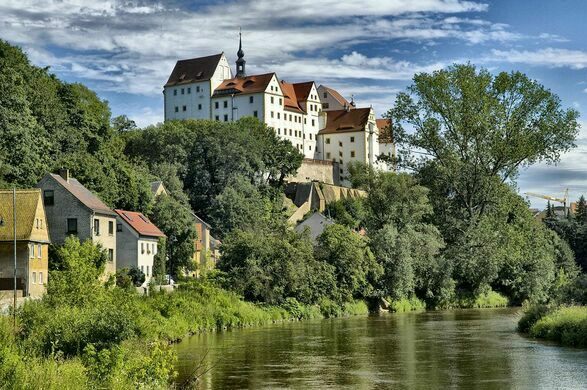 Colditz is approximately a 50-minute and 1 hour drive from Leipzig and Dresden respectively. 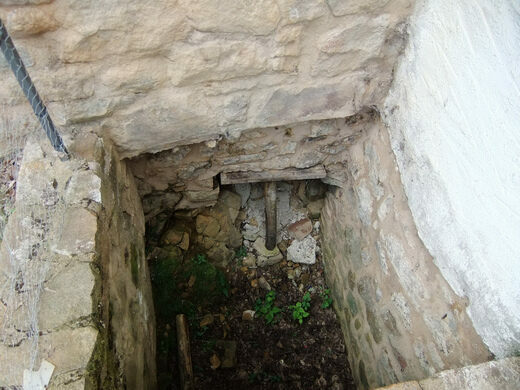 There is rail connection to Colditz. The castle and museum is open daily (excluding public holidays), and offer guided tours in German and English. The symbol was surreptitiously built into the river bank by German prisoners of war. On the side of Arkansas' Great River Road stand the remains of a forgotten World War II POW Camp.